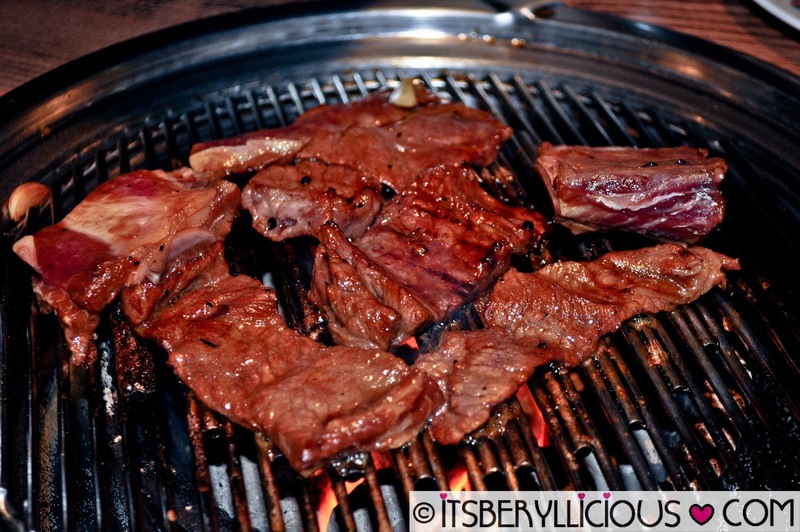 Recently tried this new Korean Charcoal Grill Restaurant in A.Venue Mall, Makati called Ba-Be-Q. 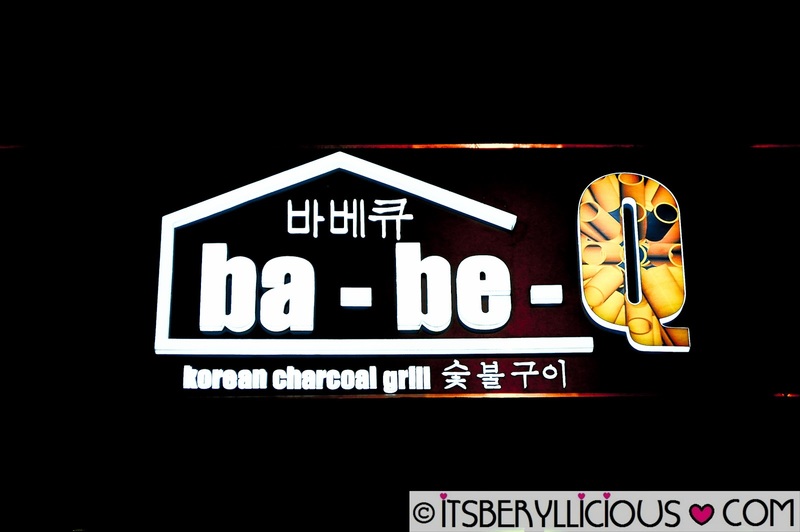 Ba-Be-Q is a month old Korean grill house that specializes in Korean grill favorites that suits the Filipino taste. With just more than a month of operations, it already gained a number of loyal customers and fans who keeps coming back for their barbecue specialties. 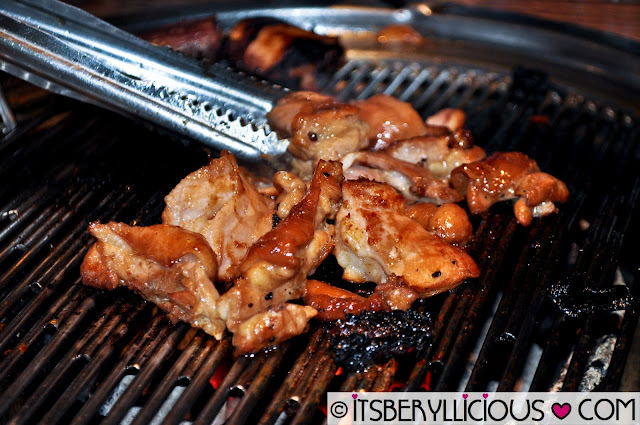 What makes Ba-Be-Q different from other Korean restaurants is that they specializes in barbecue alone and most of the food items in their menu are for grilling and freshly served on your table. 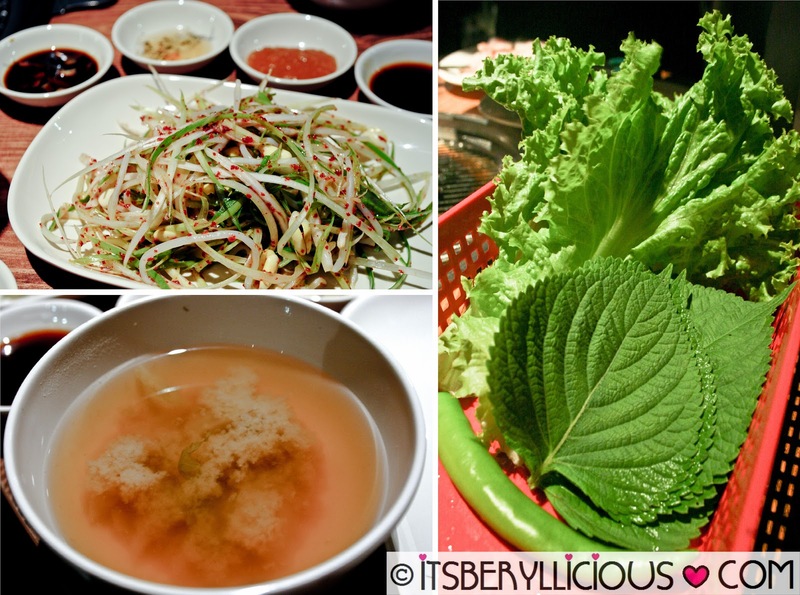 The ambiance is also not your typical Korean restaurant with modern interiors and bright lights. Ba-Be-Q has this Korean street style barbecue concept that's dim, rustic and very casual with graffiti drawings on the wall. Here's a simple video to share our Ba-Be-Q grilling experience. The staple Korean appetizer-Kimchi, was served on the table as a starter while waiting for our orders. Followed by a hot soybean soup, leeks, unlimited lettuce/sesame leaf and different types of sauces for our barbecue. 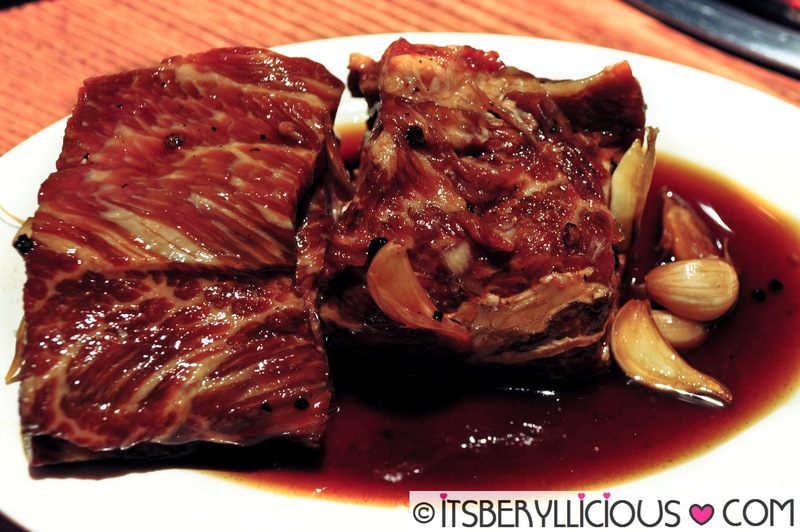 We decided to start with the Korean Beef Ribs marinated in sweet sauce. I am a fan of sweet food and this would be my personal favorite. 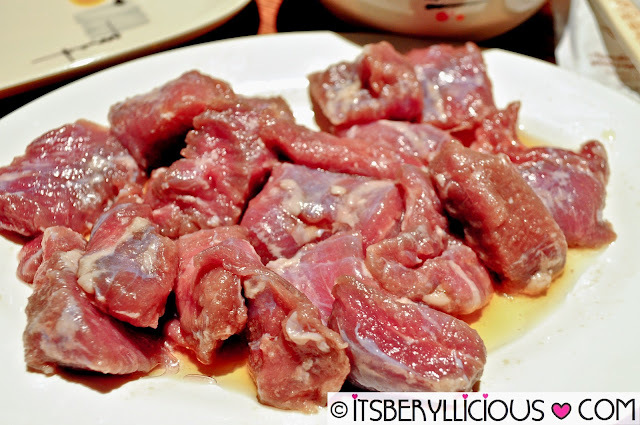 The beef was marbled and marinated perfectly making the meat so tender, sweet and juicy. Now this one is quite interesting.. it is called Lean Pork but as our server cooked the meat for us and we tried it out, it actually tasted like beef. It wasn't sweet as the beef ribs but it made the natural meat flavor to come out after every bite. Texture was also tender that reminds me of beef teppanyaki. 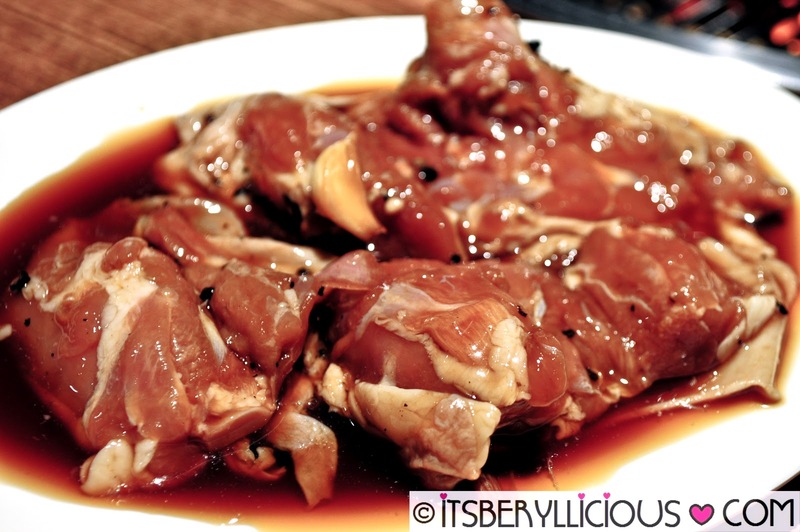 One of Ba-Be-Q's most ordered dish is this plate of the classic Filipino grill favorite- Boneless Chicken Barbecue. With its marinade somewhat similar to the sweet beef ribs, no doubt it was a best-seller as the flavors perfectly suits the Filipino taste. Move away pork belly, there's a new challenger in town. 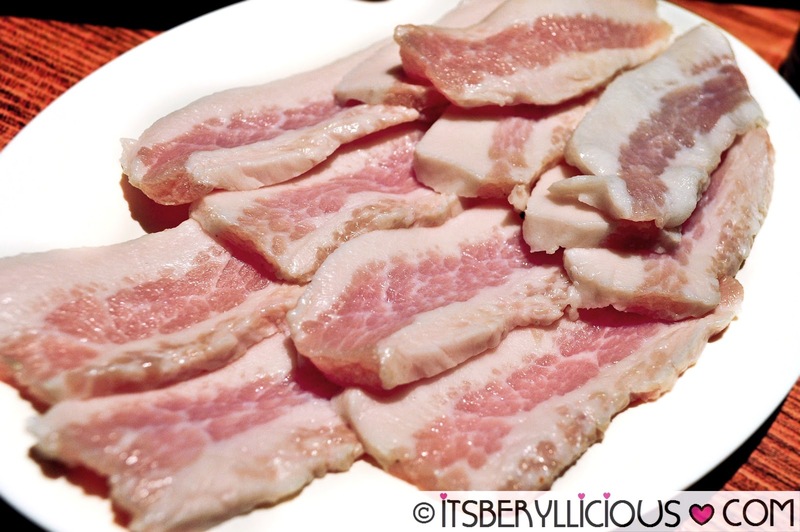 Pork Jowl or jowl bacon comes from the neck/cheek part of a pig with streaks similar to that of bacon. 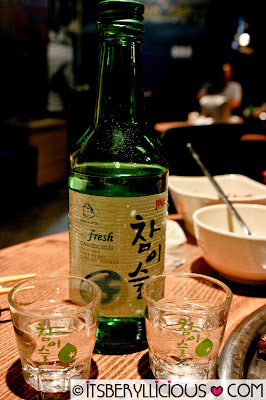 This is actually famous in Korea where the owner first tasted it and decided to offer it in Ba-Be-Q. So what's the difference between bacon and this pork jowl? 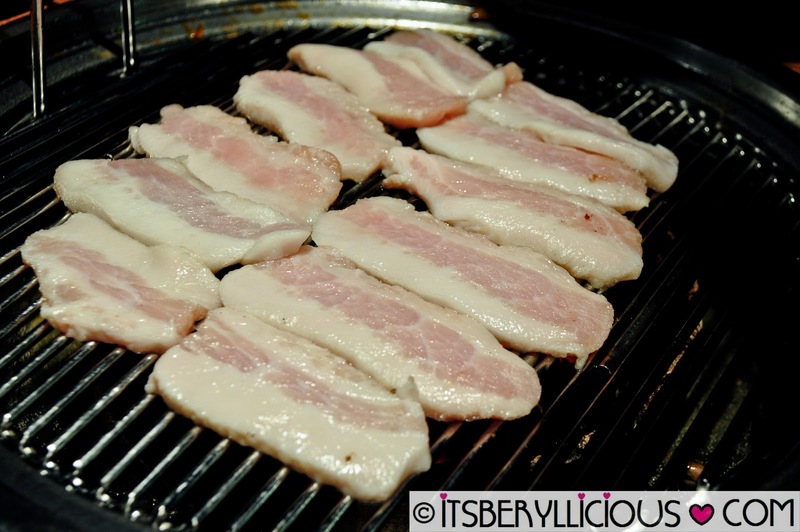 Aside from the part where it was taken, bacon when grilled or fried tends to have a crunchier texture. 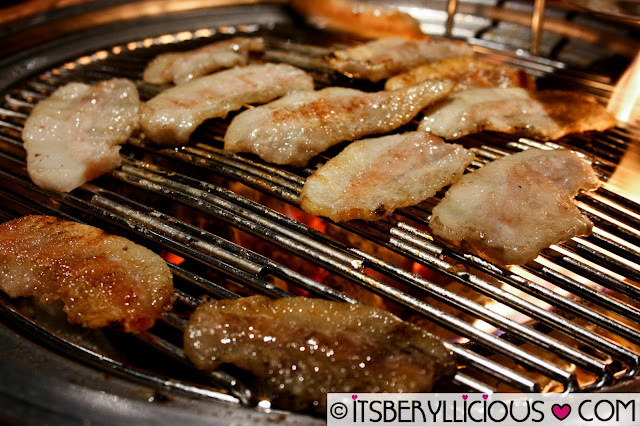 Pork jowl on the other hand when grilled produces a dense and chewy texture like that of a tendon. Now, what's their similarity? Both are actually sinfully delicious! I love the chewy texture of the fat without being too oily on the mouth. It actually tasted like chicharon with aromatic flavors coming out from every slice. A Must-Try!!! Pair everything up with the perfect Korean drink Soju (P200) and expect a night of good food and good times with friends and families at Ba-Be-Q. Wow, nice resto! They cook in front of you as you order. I don't think we have this here in Cebu. *drool* I am all for Thai food but seeing your food photos, i think i should start learning and tasting more of Koren cuisine. Korean Style Barbeque is one of my favorite ways to enjoy Barbeque. I would try to visit A Venue for this. 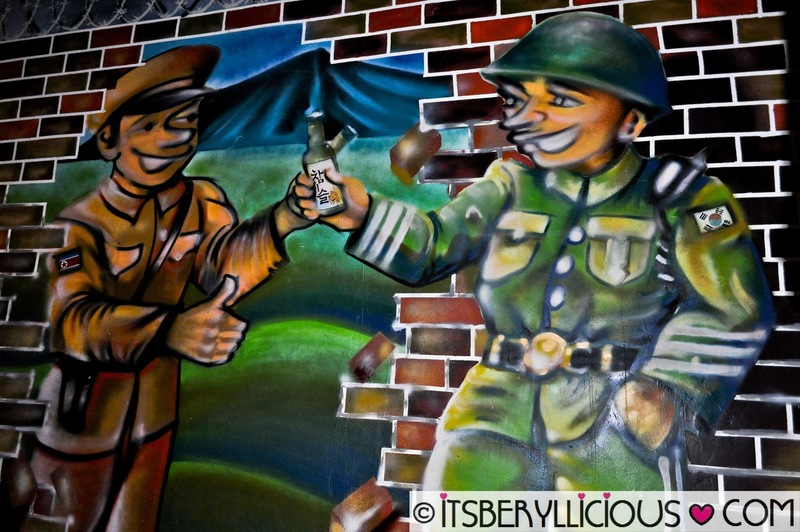 I have been looking for a local restaurant that serves barbecue with fresh greens, and now you tell me of one! May just the reason for us to go visit A Venue once and for all. 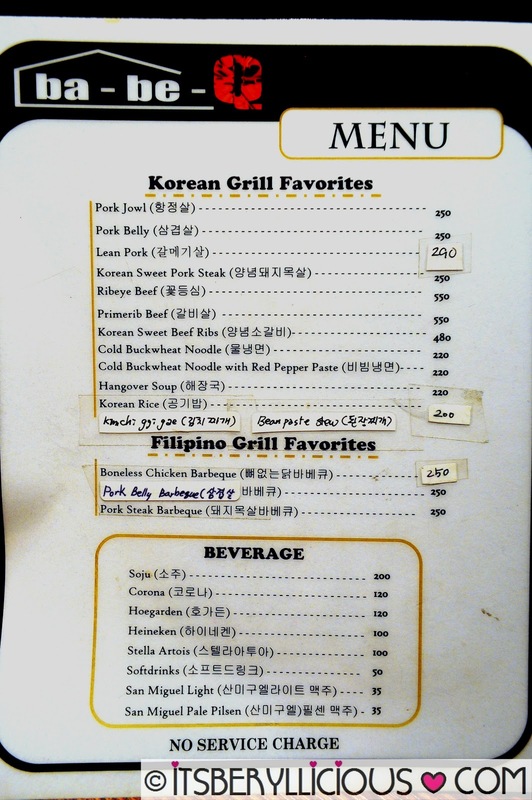 By the way, could you share other local Korean restaurants that serve barbecue with fresh greens, preferably in the QC area? those BBQ's are so inviting! 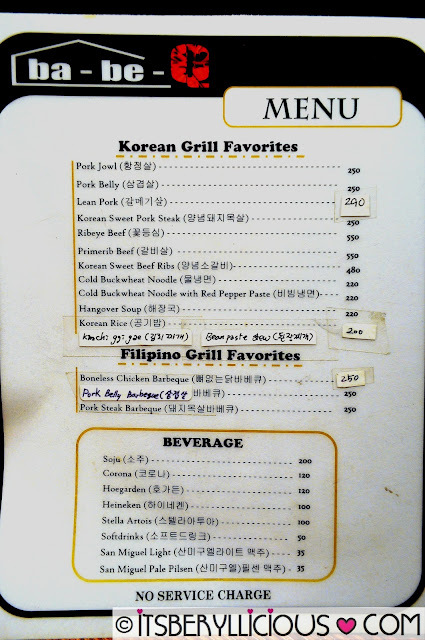 yeah keep us posted for another Korean BBQ along QC area. 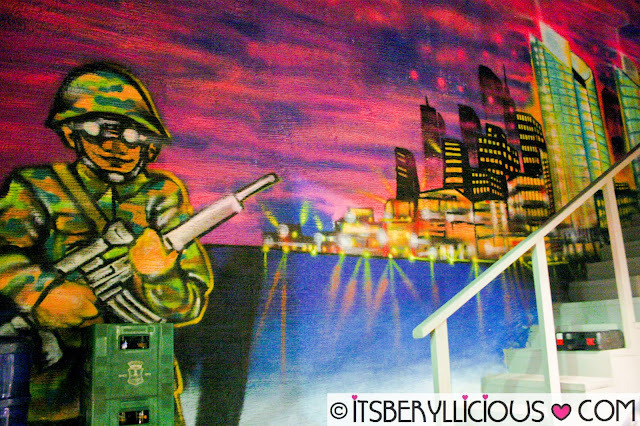 the place looks like an interesting place to hang out at, with the artwork and artsy environment. the vegetarian dish looks good, but i dont care of the meat dishes. The Pork Jowl looks awesome! And the place really looks cool, great post! Ang sarap! gusto ko nung Pork Jowl!!! It looks delicious. 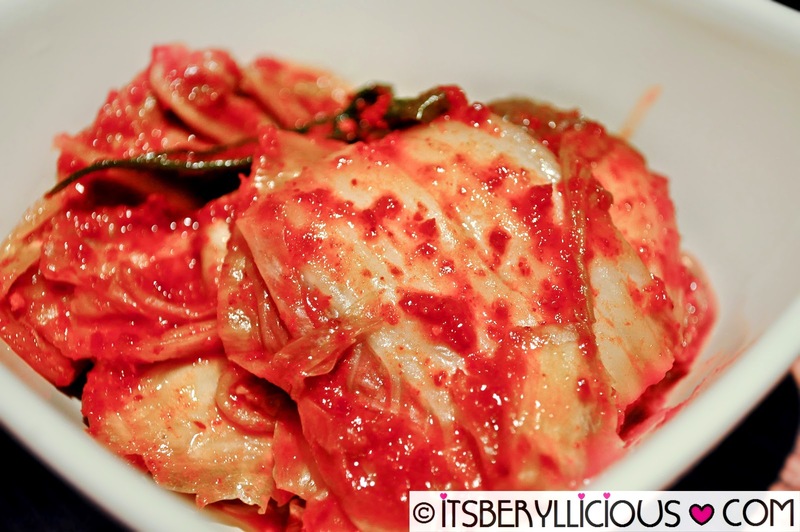 I love kimchi and those barbecue tops my fave Korean dish.